Anaïs and her babies made by Lilliputiens, item number 83038. 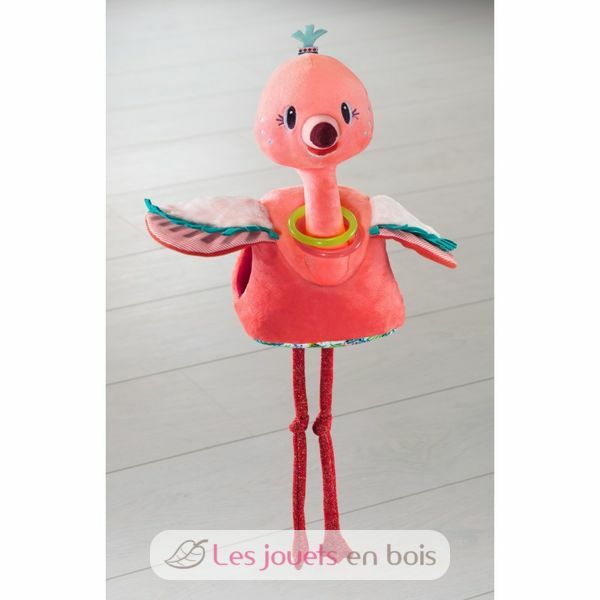 Anais the Flamingo comes with three babies of her own, each with a unique shape and activity. Highly stimulating, this toy features a teething ring, a squealer, a rattle and a mirror.